Type art vector graphics of various expressions of gratitude in different languages. 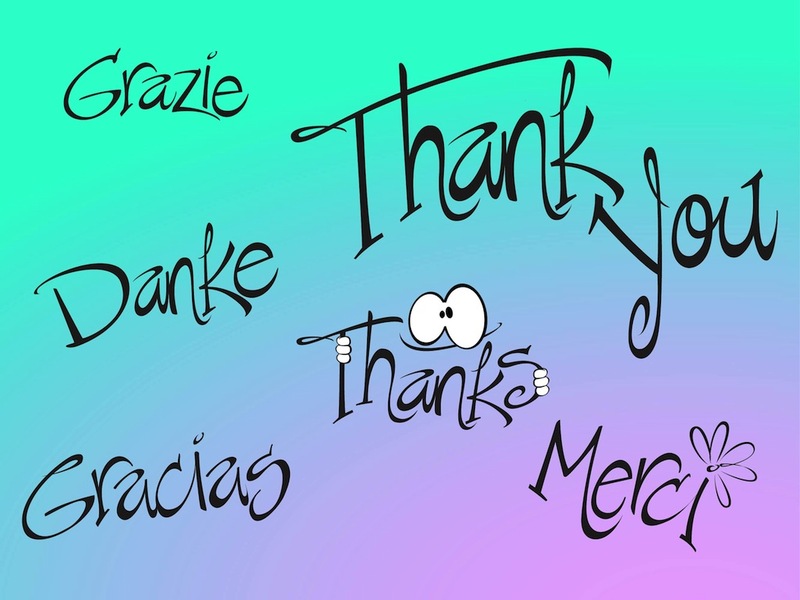 “Thank you” written in German, Italian, Spanish, English and French. Hand written font and cartoon decorations on some of the words. Free vector illustrations for all polite expressions, gratitude and communication designs. Tags: Danke, Gracias, Gratitude, Grazie, Hand Written, Merci, Politeness, Thanks.